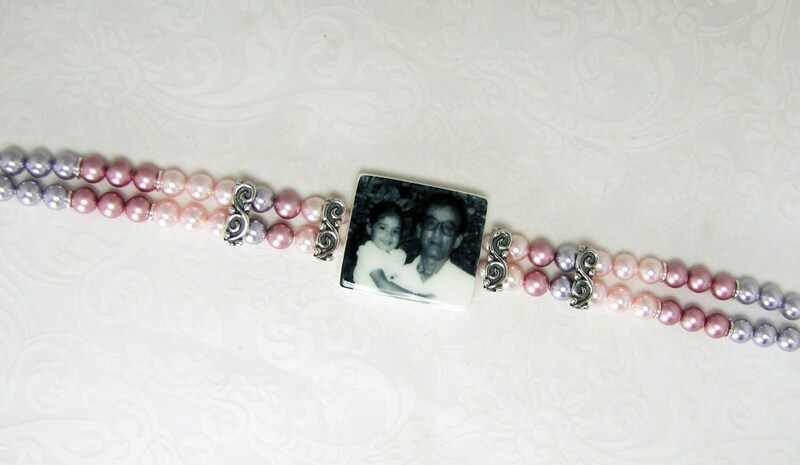 This is a vintage style, double strand Swarovski pearl bracelet that can be custom ordered between 6.5" - 9". 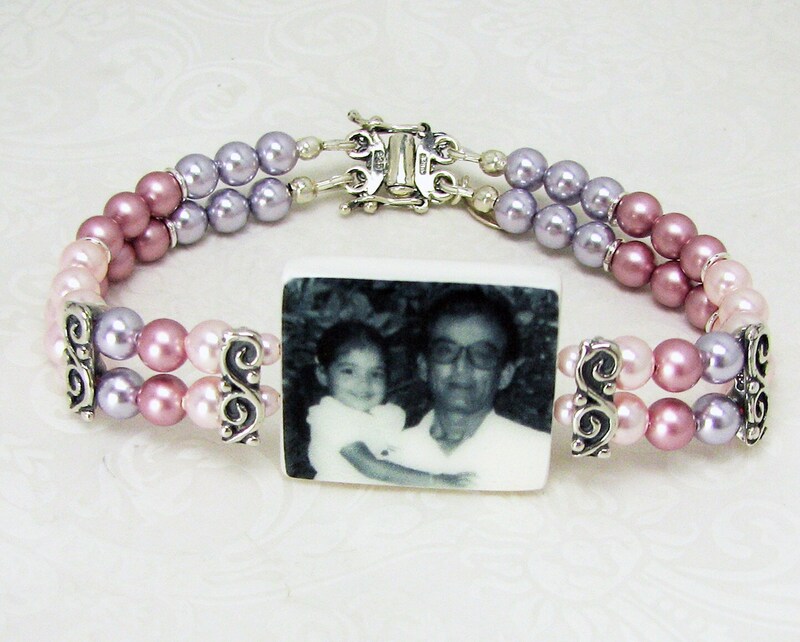 It has a elegant, sterling silver butterfly clasp and a two-sided, custom photo pendant that measures up to 1" X 1". 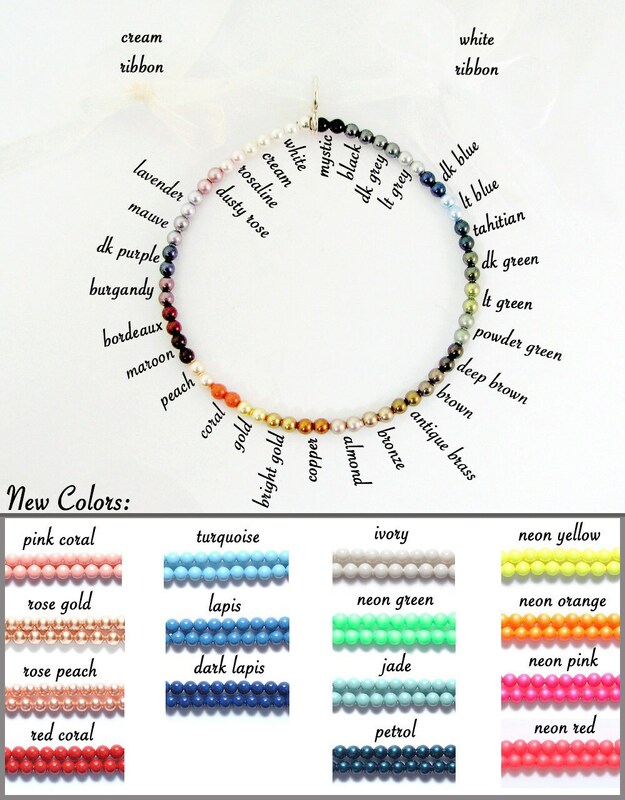 Order it with pearls to match your image, or choose your favorite color from the chart above. You can even choose multiple colors and arrange them in any fashion like the one shown. 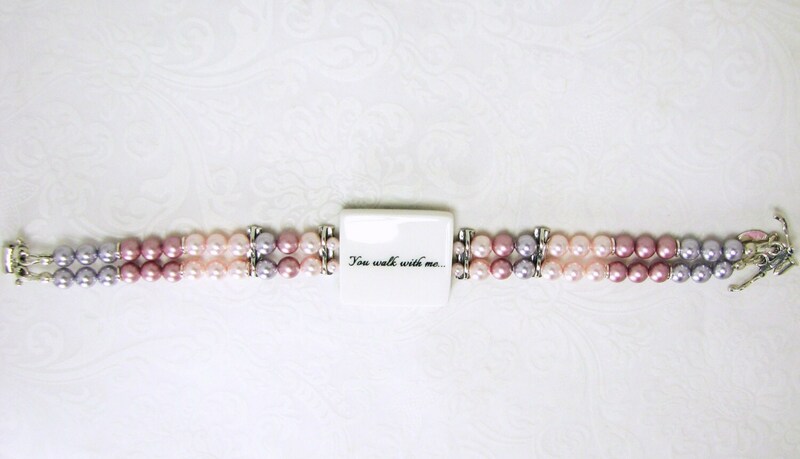 This bracelet is not reversible; however, you can include a second image, or a message on the back if you choose.